How to Keep That “New Watch” Smell? – I Already Have a Watch. Well, get a bottle of Omega Aqua Terra Eau de Toilette of course. Duh. Omega Aqua Terra Eau de Toilette for men. Available only through the flagship boutiques. This isn’t quite breaking news of course, and in fact Perpetuelle did a pretty good writeup of it a little while back if you want more details. I’m afraid we’re going to be seeing a lot more of this kind of stuff, and not just from Omega either. Just like some luxury brands have successfully moved from other luxury product markets into watches (Mont Blanc is one that comes to mind) watch brands are becoming increasingly aware that they can further monetize the followership they’ve garnered around their watch brands by selling them other luxury goods. And it only stands to reason — by buying their watches we’ve already demonstrated that we’re suckers for sentimental luxuries with money to spend. Why shouldn’t the watch brands want to sell us other stuff too rather than have us buy our luxury goods from others? 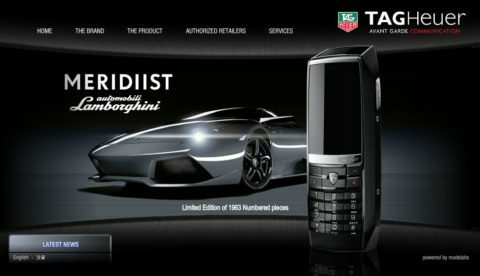 TAG Heuer, for instance, introduced a line of cell phones a little while back, one of which even hits the marketing double-whammy by co-branding with Lamborghini. When you think about it, the Omega Aqua Terra Cologne shouldn’t really have come as much of a surprise. Omega after all had been gradually expanding into markets like jewelry with the Bijoux line, and then into leather goods like wallets and watch boxes. Hard to say what we might see next. If we use the “things that would be grouped together in a typical department store” method of prediction, my guess would be that we’ll start to see a line of Omega sunglasses soon. And hey, I think I’d actually kind of like to see what they could come up with there. Some Speedmaster sunglasses might be pretty cool, and probably a lot more relevant to the brand than beauty products. I should be a watch exec. Tagged with Omega Watches, watch marketing.